Home › Health › Sweet, Bursting With Nutrients-Welcome To Juice Time! Sweet, Bursting With Nutrients-Welcome To Juice Time! 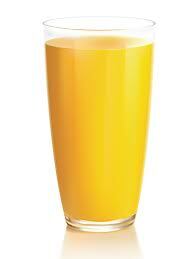 Do you start your day by going to the refrigerator to pour a glass of orange juice? It has got to be good because its pure 100% fruit juice. Bringing the glass to your lips, you angle the sweet, acidic cold liquid into your mouth and down your throat. Refreshing! It wakes you up. Be it orange, grapefruit, grape, etc. that gets your body pumped with vitamin C, and other antioxidants, folic acid (one of the B-vitamins), potassium, and loads of sugar. The problem is that too much of a good thing can be a bad thing. Your grandmother served juice in 4-5 oz. glasses. Today’s juice glass is 10 oz or larger. 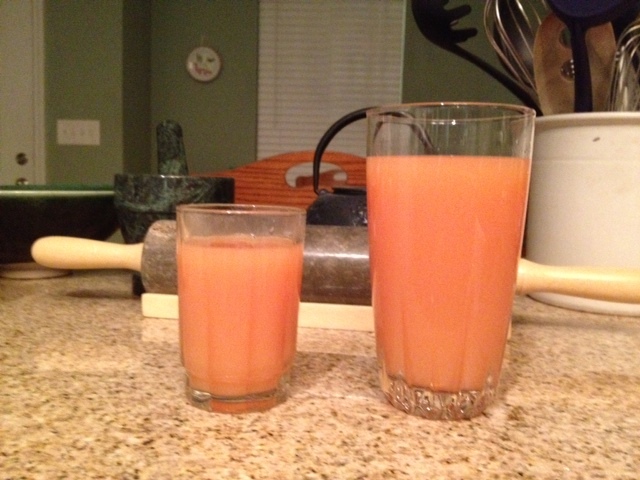 Like we super size our meals, we also have doubled the size of our servings of juice. The super size glass has the amount of sugar contained in a can of soda. The only difference is that there are nutrients in the juice. A study in the UK published in ’08 showed that consuming 10 oz of orange juice daily will increase diabetic risk by 25%. What was fascinating was that eating whole fruit 3 times a day lowered diabetic risk by 18%. So the fiber and other constituents of whole oranges that are not found in pasteurized (heated) orange juices delays sugar absorption by the body. The benefit is not regained when the manufacturers add back lots of pulp later in the game after the juice has been squeezed and heated. So whole fruit is always better than juice. If you consume juice like me, then try to cut down your intake to half as much (4-5 oz). Start making whole fruit part of your diet. I cut up oranges, grapefruits, kiwi, etc in advance so I have no excuse on drowning myself with juices. If you have your heart set on wanting more juice, do it as a separate event later in the day. 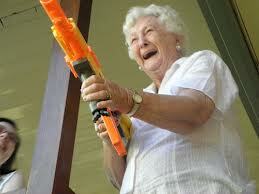 Found that mother knows best but grandmom knows even better.